Search our window construction terminology page and explore glossary terms related to energy efficiency and performance. The following is 1 of 4 pages on our section dealing with window terminology. For a visual, refer to our anatomy of a window. Ahe amount of air that leaks through the edges of a frame when it is closed. This calculation is represented as cfm/sf or cfm/sq ft, which translates to ‘cubic feet per minute per square foot’. An indicator of how resistant a window is to condensation. Higher numbers indicate better resistance. The amount of energy that is transferred between materials that are in direct contact with one another. The amount of energy that is transferred by air circulation between surfaces. The Energy Star system that has been set up by the government to help consumers determine which products provide more energy efficiency. Glass that is tinted in order to absorb heat and light and reduce glare. Learn more on replacement glass. Also known as low emittance glass, it is glass which has a specialized coating to reduce radiant heat gain and create better energy efficiency. 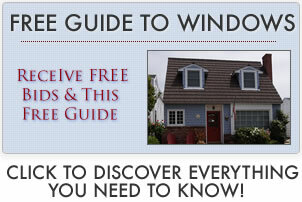 An organization that certifies energy ratings for windows, doors and skylights. An indicator of a window’s insulating properties and resistance to heat transfer. The higher the value, the better it is at insulating against heat transfer. This value is the inverse of the U-factor. The heat producing spectrum of the rays of the sun. Coated glass that can reflect the heat and light of the sun, reducing the amount of heat transfer and glare. An important replacement windows ratings that indicates a window’s heat transmission (indicative of energy efficiency). The lower the U-factor, the better the insulative properties of the window. This value is the inverse of the R-value. The short wavelengths of light that can cause fading. VT – a measurement of the percent of visible light that penetrates through a window. The use of spacers that have low conductive properties near the edge of insulated panes of glass. This further reduces the amount of heat transfer and increases energy efficiency. The measurement of force caused by moving air against a surface.